A recent webinar was hosted by Afterburner’s David “Finch” Guenthner, a keynote speaker at the 2017 PRIME Symposium, and Milton Bourque from Zachry Construction. They share examples and discuss what makes a high-performing team possible and successful. The webinar, Operation Debrief: The Secret Weapon of High Performing Ops Teams, discusses how to incorporate a culture of debriefing to achieve success within your organization. According to Afterburner, organizational excellence is achieved by focusing on leadership development that drives continuous learning, individual engagement and mission-first operations. 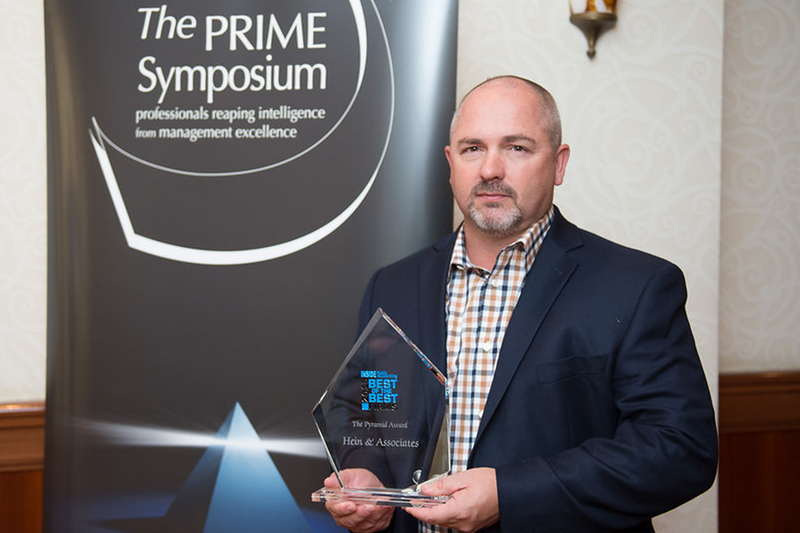 INSIDE Public Accounting (IPA) announced that three 2017 Best of the Best Accounting Firms were recognized with Pyramid Awards this year at the seventh annual PRIME Symposium, Nov. 7-9, in Indianapolis. 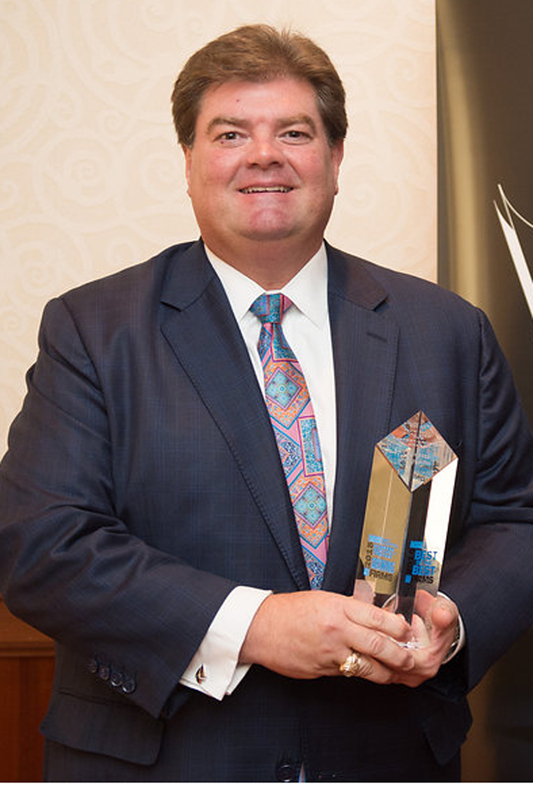 The award recipients this year were: Moore Colson of Atlanta, Pasadena, Calif.-based KROST CPAs and Consultants and San Ramon, Calif.-based Armanino LLP. Moore Colson was the recipient of IPA’s “Pyramid of Excellence” award. This high-performing firm ranked No. 1 among the elite 50 Best of the Best Firms selected by IPA. The rankings are based on data from the 27th annual IPA Survey and Analysis of Firms, which covers finances and operations in dozens of areas. This $21.7 million firm, with 16 partners and 83 staff, has been named a Best of the Best firm nine times, the last five consecutively. Moore Colson was one of the Fastest-Growing Best of the Best firms this year. KROST CPAs and Consultants, once again, received the IPA Best of the Best “Fastest-Growing Pyramid Award.” With a 25.0% growth rate, this firm has demonstrated impressive results with no mergers to enhance that number. 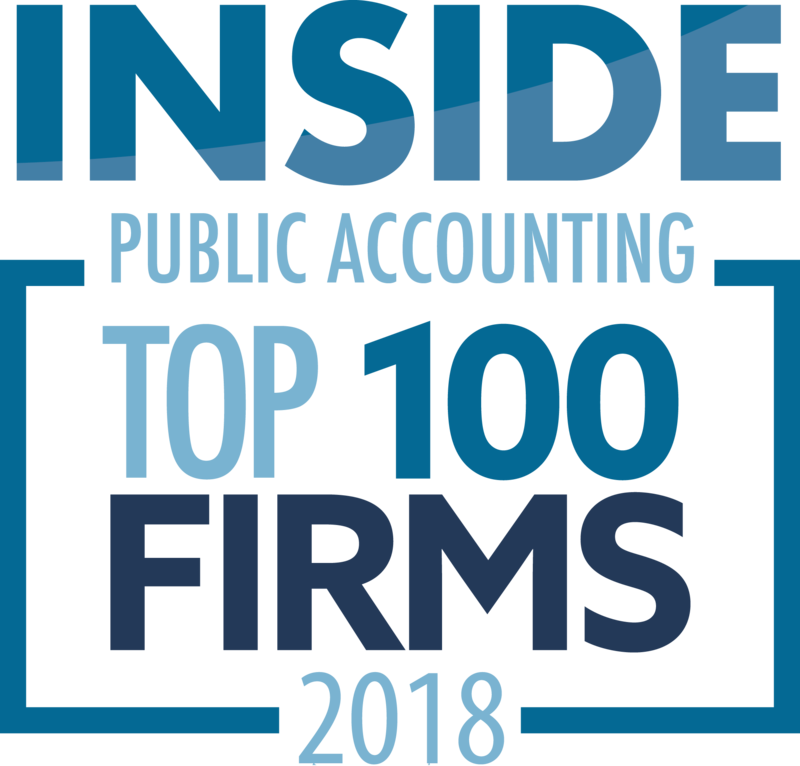 This is KROST’s second consecutive year as an IPA Best of the Best firm and Fastest-Growing firm, as the firm posted an extraordinary 66.3% organic growth rate in 2016. The $25.6 million firm ranked No. 137 on the IPA 200 list. Armanino LLP received the IPA Best of the Best “Pyramid Award.” The $195 million firm, ranked No. 24 on the IPA 100 list, first appeared as a Best of the Best firm in 2001. 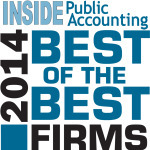 Since then, IPA has named Armanino a Best of the Best firm 16 times, seven consecutively. Armanino sustains financial and operational excellence year after year. View a complete listing of the 2017 IPA Best of the Best. Order the 2017 Benchmarking Report. INSIDE Public Accounting (IPA) annually recognizes three Best of the Best firms with Pyramid Awards. 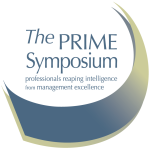 This year, the awards will be given at the sixth annual PRIME Symposium, Nov. 16-18, in Scottsdale, Arizona. IPA uses a proprietary formula to rank Best of the Best firms based on more than 70 metrics covering everything from training and turnover to costs and compensation. The award recipients this year are: Miller Grossbard Advisors of Houston, Pasadena, Calif.-based KROST CPAs and Consultants, and Atlanta-based Frazier & Deeter. Miller Grossbard Advisors is the recipient of IPA’s “Pyramid of Excellence” award. This high-performing firm scored No. 1 among the elite 50 Best of the Best Firms selected by IPA. The rankings are based on data from the 26th annual IPA Survey and Analysis of Firms, which covers finances and operations in dozens of areas. This $7 million firm, with only three partners and 30 staff, was also ranked Best of the Best in 2014 and 2015, and was one of the fastest-growing Best of the Best firms this year. KROST CPAs and Consultants, formerly Krost Baumgarten Kniss & Guerrero, is receiving the sixth annual IPA Best of the Best “Fastest-Growing Pyramid Award.” With a 66.3% growth rate, this firm has demonstrated impressive results with no mergers to boost that number. All industry and service lines grew significantly in 2015, with specialties in tax incentive consulting and professional services firms. The $20 million firm ranked No. 157 on the IPA 200 list. Frazier & Deeter is receiving the sixth annual IPA Best of the Best “Pyramid Award.” The $67 million firm, ranked No. 58 on the IPA 100 list, first appeared as a Best of the Best firm in 2003. Since then, IPA has named Frazier & Deeter Best of the Best 12 times, 10 consecutively. Frazier & Deeter sustains financial and operational excellence year after year. IPA’s independent ranking of the nation’s best-managed firms is one of the highest honors within the profession today. Selections were based on responses from more than 540 accounting firms on over 70 metrics. The IPA Best of the Best firms come in all sizes and are geographically dispersed across the U.S. They demonstrate long-term consistency and exceptional performance, regardless of outside factors. This is IPA’s 22nd year ranking Best of the Best firms. View the 2015 IPA Pyramid Award Winners. 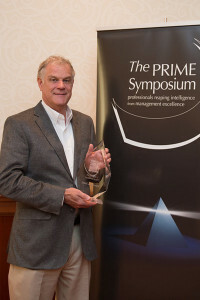 INSIDE Public Accounting (IPA) recognized three 2015 Best of the Best firms with Pyramid Awards at the fifth annual PRIME Symposium, Nov. 2-4, in Indianapolis. The recipients are: Smith & Howard of Atlanta, Houston-based Calvetti Ferguson and Denver-based Hein & Associates. Smith & Howard is the recipient of IPA’s “Pyramid of Excellence” award for the second consecutive year. This high-performing firm scored No. 1 among the elite 50 Best of the Best Firms selected by IPA. The rankings are based on data from the 25th annual IPA Survey and Analysis of Firms, which covers finances and operations in dozens of areas. Smith & Howard is listed at No. 129 on the IPA 200, a list of the nation’s largest accounting firms. Calvetti Ferguson is receiving the fifth annual IPA Best of the Best “Fastest-Growing Pyramid Award.” With an impressive 68.01% growth rate, with no mergers to boost that number, the firm has seen continued success in a tentative economic environment. 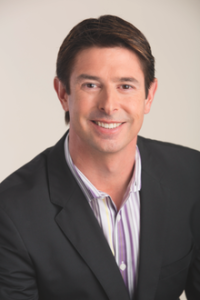 In 2014, Calvetti Ferguson also was named a Best of the Best Under $5 Million and a Fastest-Growing firm in this group. Hein & Associates is receiving the fifth annual IPA Best of the Best “Pyramid Award” this year. 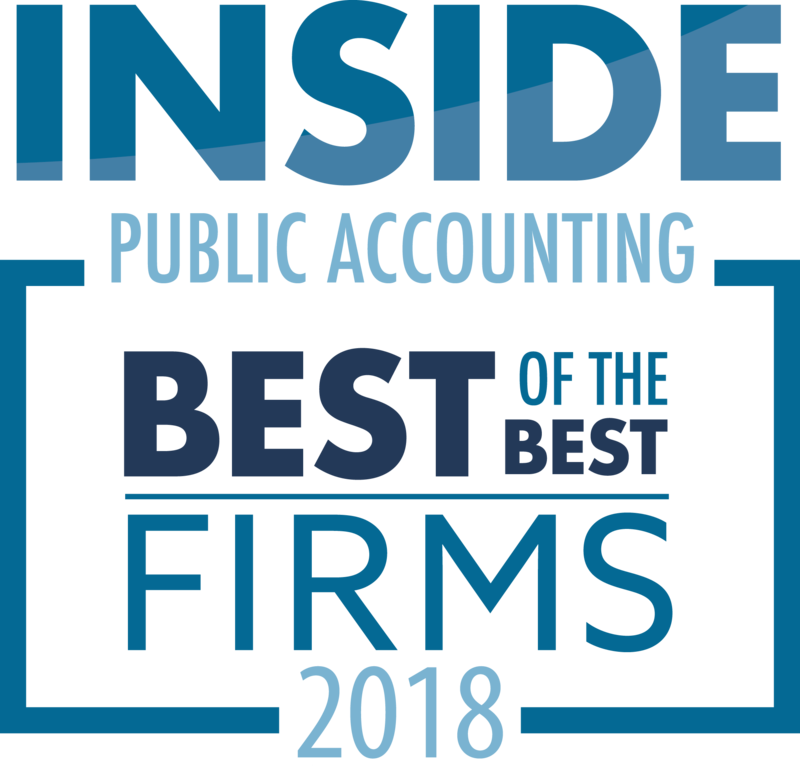 Hein & Associates debuted on the IPA Best of the Best list in 1995, and has been named a Best of the Best firm 14 times during that time span, 12 consecutively. Hein & Associates is an IPA 100 firm, listed at No. 63 this year. IPA’s independent ranking of the nation’s best-managed firms is one of the highest honors within the profession today. Selections were based on responses from more than 500 accounting firms on over 70 metrics. The IPA Best of the Best firms come in all sizes and are geographically dispersed across the U.S. They demonstrate long-term consistency and exceptional performance, regardless of outside factors. This is IPA’s 21st year ranking Best of the Best firms. 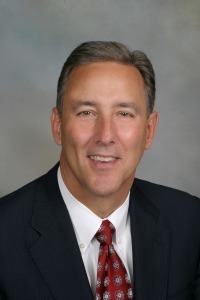 Our second of five IPA Most Admired Peers continues with Gordon Krater, Southfield, Mich.-based Plante Moran (FY14 net revenue of $432.6 million). Krater considers himself a servant leader. “I really believe that I serve the partners and the staff, they don’t serve me.” Krater says leaders must establish a deep level of trust, and one important way to do that is through transparency. He tries to gain input from a wide cross-section of people within the firm, to listen, to let people know they have been heard, to keep confidences and to communicate often and openly. Krater says he would love to be able to prognosticate a little better; he’s reaching out to more partners and staff (no easy feat in a 2,200-person firm); and trying to shed that “24-7” feeling of being MP. Krater took a one-month sabbatical over the summer at his cabin in northern Michigan, hiked, ran, kayaked, went paddle boarding and came back refreshed. What’s your philosophy about growth? How important is culture in what you do every day, and how are you developing the right culture in your firm? Our first, of five IPA Most Admired Peers begins with a discussion with Andy Armanino, San Ramon, Calif.-based Armanino LLP (FY13 net revenue of $112.8 million) a three-time recipient of the “Most Admired Peer” honor. Armanino says his leadership style has certainly evolved and grown over the years. In his 11th year as MP, he says he’s now a much better listener than he was at first. He believes leaders must have a “big-picture” vision for the future of the firm and big goals to get there. Communicating that vision often, and effectively, is key. “I am a believer that you can do a lot to help people become better leaders, you can train people, you can encourage etc., but the best leaders I know have an innate ability to lead,” Armanino says. These people want to make a difference, don’t mind the spotlight and have the personality to lead others. Armanino points to his father, Andy Armanino Sr., as his No. 1 mentor. “He had a great deal of integrity. Wasn’t afraid to think outside the box, and he truly cared about clients and our people. And that’s where I’m rooted as well.” He’s also inspired by the young professionals at the firm. “I love being around our young people. They have ideas that I wouldn’t have.” Another source of inspiration is within reach in his office. An avid learner, Armamino reads leadership books often. Some favorites are Leadership Matters: Daily Insights to Inspire Extraordinary Results, Good to Great and Coaching Yourself to Leadership. “Go in with your eyes open,” Armanino says. “Make sure you balance your life. I did it all wrong at first. I worked constantly when I first became managing partner. The firm became so important that I was neglecting my family and wife and all kinds of things.” Other tips: Communicate constantly. Do what’s right. Don’t be afraid of confrontation. Can A “Director Of Pricing” Help Improve Both The Top And Bottom Line In Your Firm? IPA sat down with Stuart Dodds from Baker & McKenzie, who will be speaking at the 2014 PRIME Symposium to talk about the emerging position of pricing director. One of the more interesting responses to the financial crisis that gripped the world in 2008-2010 was the “new and improved” focus on running a professional services firm as a business. Accounting firms around the world tightened their belts, scrutinized expenses, right-sized staff, and started looking at profitability in a whole new light. In many ways, CPA firms are ahead of law firms when it comes to marketing and practice management, but one development has started to take hold in the legal arena that those on the accounting side need to pay attention to – the introduction of the position of Director of Pricing and Project Management in larger law firms. 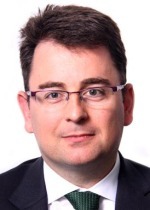 In 2008, Linklaters, a law firm with 29 offices around the globe, became the first international law firm to establish a Pricing Director position. By the end of 2008, three other law firms followed suit. Addressing the challenges of the recession, law firms started to embrace the move away from “any dollar is a good dollar” towards a focus on profitability, with some changing partner compensation models tying compensation to profitability, not to book of business. Today, estimates are that more than 200 law firms have someone in a position in management that directly helps set pricing, negotiates with clients, and helps with project management to ensure profitability of the firm. In June, IPA attended the Legal Marketing Association’s Project Management, Pricing and Process Improvement (P3) Conference focusing on practice innovation in these three disciplines. Attending this conference were the pioneers of this fledgling “profession within a profession,” with titles such as “Director of Strategic Pricing and Analytics,” “Pricing Manager,” “Director of Pricing,” “Director of Global Pricing and Legal Project Management,” “VP of Practice Management and Pricing,” “Pricing and Budget Director,” “Manager of Strategic Pricing and Profitability Analysis,” and similar titles that reflect the evolving nature of this position. In an unscientific poll of some of the attendees at the conference, anywhere from 15-50% of engagements are billed on something other than an hourly basis, and it is in this realm that pricing directors earn their keep. Back in 2008, both Linklaters and Dodds recognized a couple of realities: 1) that lawyers are brilliant technicians but were not schooled in strategic pricing or profitability; 2) that as someone who best represented the client’s interests, there was an inherent conflict when a law firm partner changed positions and was sitting across the table in a fee negotiation with a client; and 3) that clients who were trained to demand discounts on professional fees could still be very profitable to the firm – but both pricing and project management would have to be elevated to a more formal process. 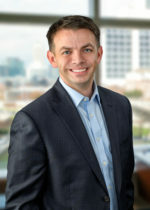 In his current role as Director of Global Pricing and Legal Project Management for Baker & McKenzie, Dodds exercises multiple facets of his role on a regular basis – from change agent to counselor to negotiator to training both partners and clients on finding win-win solutions to client needs. On pricing, Dodds notes that “if it’s a ‘side of the desk activity,’ it doesn’t get the proper attention it deserves.” Dodds notes that pricing and service delivery are inextricably linked, which explains why he has taken on the dual role of overseeing both functions. Dodds explains thresholds may vary depending upon the type of work, overall relationship, and Practice Group involved as to when to bring him in for consultation and engage with the client. “It could be as low as a few thousand dollars, but certainly anything above $500,000 will call for some involvement,” Dodds tells IPA. IPA also met up with Toby Brown, another of the original group of trailblazers who helped create the position when he was first hired seven years ago. Brown, now Chief Practice Officer at Akin Gump Strauss Hauer & Feld in Houston, never really intended to get into law firm pricing and project management. He was a consultant to law firms providing strategic management, marketing and technology consulting to bar associations, law firms, legal departments and technology companies. In 2007, he was brought in to help the pricing task force developed by Fulbright & Jaworski to help them understand some of the critical pricing pieces that they should be considering. At the end of one of the initial meetings, Brown tells IPA, the task force leader said, “We didn’t know it before, but your expertise is exactly what we’ve been craving.” He joined the firm as Director of Knowledge Management and Marketing, and by 2010 morphed his role into the Director of Business Development and Alternative Fee Arrangements. Brown describes what’s going on in the 200+ law firms who have a pricing director as a “foundational shift” from thinking about hours and revenue to thinking about revenue and profitability. He says that a correlation between revenues and compensation helps measure profitability at the associate level, but when he looks at profitability at the partner level, things tend to break down. Brown begins his analysis as if he has had this conversation many times before. “There’s ‘gross margin,’ where all partner compensation is treated as profit. So What Exactly Does a Pricing Director Do? Dodds and Brown, and the dozens of others who have helped develop this new profession, know that their role requires them to be adept at knowledge management, practice management, emotional intelligence, change management, and understanding the numbers that lead to profitability. “To say we’re a jack of all trades is an understatement,” one conference attendee told IPA. Depending on the culture of the firm, a pricing director can serve roles as varied as “just give me a number to quote on a proposal” to negotiation with a client or prospect to actively getting involved in a change management program with either the client or the partner – or often both – to uncover a win-win. Again, there are many variations of the role, and most law firms are still experimenting with this fledgling position and trying to figure it all out. In Brown’s case, his involvement usually starts with a call from a partner, often with anxiety in his voice, with an opportunity to do some work for a client or prospect and often unsure of the right pricing model to suggest. “Personalities that are drawn to the professions are high level subject matter experts, but not pricing experts,” Brown adds. Brown’s role is to really understand what is driving the client needs, and if unclear, he will request a meeting with the client to dig deeper. He recognizes that not many pricing directors are given direct access to clients but feels that it is a critical part of his job. “Once we know the client drivers,” Brown says, “we try to understand the pressures they are under to change the way they purchase legal services.” By better understanding the needs and pricing parameters of the client, Brown can then go to work to craft win-win pricing models that will work for both the client as well as the firm. One of his favorite ways of discovering what’s important to clients is to ask the question, “A year from now, if this project is a success, what are the elements of that success that you’ll be anxious to tell management about?” That, he says, gets right to the core of what is driving the client purchasing decisions. When Does a Firm Warrant the Addition of a Pricing Director? Dodds takes a different perspective on the subject of size. If a firm has 20 partners, for instance, with each of them making just one pricing decision each week that could represent 1,000 separate transactions each year. “A more strategic focus from a pricing director can pay off quite quickly,” he adds. Jim Hassett, a researcher and consultant to the legal profession, encourages law firms to experiment with different profitability models now, and not wait until someone else has figured it all out. Adding a pricing director, he says, is one piece of the project management / pricing puzzle. What’s Needed For A Pricing Director Position to Succeed? Both Dodds and Brown agree that very visible support from the chief executive of the firm and senior leaders in the partnership are crucial for this role to work. INSIDE Public Accounting (IPA) has announced that three 2014 Best of the Best firms are being recognized with Pyramid Awards this year at the fourth annual PRIME Symposium, Nov. 3-5, in Indianapolis. The recipients are: Smith & Howard of Atlanta; Richey May of Englewood, Colo.; and Miami-based Berkowitz Pollack Brant Advisors and Accountants. Smith & Howard is the recipient of IPA’s “Pyramid of Excellence” award this year, for the firm’s stellar performance in the 24th annual IPA Survey and Analysis of Firms. The firm scored No. 1 on the IPA Best of the Best Firms list this year. The firm is listed on the IPA 200, at No. 144. 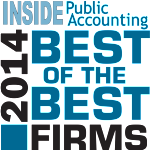 Smith & Howard was also named one of the Top 10 Fastest-Growing Firms among the IPA 200 and IPA Best of the Best in 2014. Richey May is receiving the fourth annual IPA Best of the Best “Fastest-Growing Pyramid Award.” With an impressive 37.5% growth rate, with no mergers to boost that number, the firm has seen continued success in a tentative economic environment. This is the second consecutive year that that Richey May has appeared at No. 1 on IPA’s Fastest-Growing Best of the Best list. In 2013, the firm also took the top honor for overall Fastest-Growing Firms in the Nation, based on more than 475 participating firms. Berkowitz Pollack Brant is receiving the fourth annual IPA Best of the Best “Pyramid Award” this year. Berkowitz Pollack Brant debuted on the IPA Best of the Best list in 1995, and has been named a Best of the Best firm 16 times during that time span. Berkowitz Pollack Brant is an IPA 100 firm, ranking at No. 85 this year. The IPA Best of the Best firms come in all sizes and are geographically dispersed across the U.S. They demonstrate long-term consistency and exceptional performance, regardless of outside factors. IPA’s independent ranking of the nation’s best-managed firms is one of the highest honors within the profession today. Selections were based on responses from more than 540 participating accounting firms on over 70 metrics. 2014 is the 19th year for the IPA Best of the Best rankings. INSIDE Public Accounting (IPA), founded in 1987, is published by The Platt Group. The Platt Group publishes both the award-winning INSIDE Public Accounting newsletter and the award-winning National Benchmarking Report. The Platt Group also advises, consults and helps firms move to a more successful level. With more than 26 years of independent reporting and more than 23 years of surveying and benchmarking experience, The Platt Group works with managing partners, CFOs and thought leaders across the nation to provide practical ideas, benchmarking data and information to take firms to the next level of improvement. The best firm leaders know that they’re not really in the numbers business, they’re in the relationship business. INSIDE Public Accounting recently heard James Kane, a loyalty researcher and consultant, discuss ways business leaders can cultivate and maintain an unbreakable bond with their clients and staff. Kane blends the worlds of business, neuroscience and behavioral psychology to produce a presentation that made us realize that some of our assumptions about what makes people loyal were dead wrong. Intrigued, we wanted to learn more and to share his findings with attendees of the annual PRIME symposium, which is scheduled for Nov. 3 – 5 at the Conrad, Indianapolis. To whet your appetite, we asked Kane to answer a few questions on loyalty. Q: What’s the biggest mistake professional service firms make in trying to build loyalty? A: There are two, really. 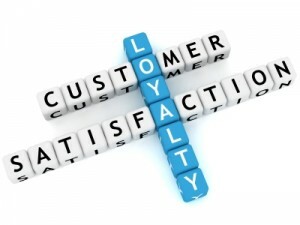 The first is an expectation of most organizations and most people that they deserve the loyalty of their clients. They assume that “doing their job” they were hired to do should be enough to earn them the benefits of a truly loyal relationship and can’t understand – in fact, are often hurt, offended or angry – when those clients consider other options, question fees and contracts, bid out work that was once exclusive, or question the value they receive. Firms fail to understand that offering a great service and a fair price is exactly what their clients hired them to do. Meeting an expectation alone does not create loyalty. The second mistake organizations make is thinking they can buy or manipulate someone’s loyalty. 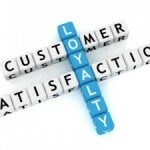 The word loyalty has been hijacked by marketers over the years and associated with sales gimmicks like rewards programs. The idea is that if I can offer you enough “stuff” or make you so dependent on the product or service I provide that you will be loyal. But that is like saying a hostage is loyal to their captor or an addict is loyal to their dealer. The behaviors may look similar to loyalty, but the outcomes are much different. When a hostage escapes or is set free, or when an addict gets sober, they don’t return to their captor or dealer. They don’t advocate for them, encourage others to get involved with them, forgive them for what they have done, or provide them with more opportunities. They get as far away as possible, say bad things about them, and wish the worst for them. Loyalty does not come from trying to manipulate or change the behaviors of others. It comes when you change your own. When an individual or organization is willing to learn and communicate the behaviors that cause other to be loyal, they can build nearly unbreakable relationships. Q: How about internally? Does your staff need to be loyal to the organization before the firm can expect clients to be loyal? A: So, it is important to know that from both a neurological and physiological standpoint, human beings are conditioned to be loyal. It is a response that has been evolving inside of us from the time we started living in social groups and communities. Our brains have learned to recognize not only who we can (or should) trust, but also who has our best interests at heart. In other words, our brains know who to be loyal to and seek out, both consciously and unconsciously, the clues and behaviors from others that tell it when it can be. Those clues and behaviors come from a variety of sources, so when a client’s brain is “deciding” if it should or can be loyal to a particular firm, it will look at the entire firm, not just a single individual. They will evaluate everyone they come in contact with, every message they receive, every interaction they have – personally and virtually, and determine if the relationship warrants its loyalty. To accomplish that, firms need to create and maintain a culture that communicates those loyalty-causing behaviors as a whole. It is a lot like raising children, As a parent, you know you can’t be with your child 24 hours a day, seven days a week for the rest of their life. Eventually, they will start creating their own relationships and establishing their own connections. The most you can do as a parent is instill in them the values you believe will make them successful and teach them how to treat others. When you do a great job with that, the result is that your kids develop relationships with others that make you proud, and are a reflection on you. The same is true for an organization and its employees. When you teach and support and reward and encourage the behaviors you want them to display, you will get the desired results in return. Q: How can an accounting firm start the process of building an “unbreakable relationship” with their clients? A: The first step is accepting that there is no magic pixie dust that you sprinkle on clients to make them loyal. If you want loyal clients you have to be willing to change your own behavior and the behavior of your entire organization. That is a commitment that not all firms are willing to make and prefer to operate under the illusion that what they have been doing all along has worked fine, and there is no reason to question the way they operate or build relationships. The next thing they need to do is assess their current relationships – not by asking them if they are satisfied with the service being provided – but by determining their client and employee loyalty. The most important benefit to come out of our research is that we have been able to identify, not only the state of an existing relationship, but the precise cause of that state. For example, it is interesting to know that a particular client sees their relationship with a firm as transactional. But the really useful information is understanding why the see it that way. What is causing that client to feel that way? What is shaping their perceptions? What is the firm doing or not doing to prevent a deeper relationship from forming? When a firm can identify the specific behaviors that are impacting the relationships, it can develop strategies and tactics to properly address them. Finally, they need to commit to a loyalty strategy. It is easy to forget about the relationships that are important to us when they get too hard or become too much work. Think about the personal relationships you have had throughout your life. So many people form their closest relationships with friends they make in high school or college. They share their deepest secrets with one another, their goals and desires, their hopes and concerns. They are inseparable…until graduation. They keep in touch, still take vacations together, are in each others weddings, still talk and reminisce about the “good old days,” but before long their lives go in different directions, the things they shared and had in common are replaced by new friends and new experiences, and those people who at one time were the most important in the world to one another are reduced to exchanging Christmas cards once a year. Client relationships often follow a similar path. Maintaining relationships require work. They demand a diligence and attention that doesn’t occur automatically.